Running a household is truly hard, most especially if there is a limited budget or source of income to maintain everything. Being able to properly manage finances will truly help in this situation. A growing family also needs an evolving budget plan. The needs of each members of the family must be sustained, and the providers of the family must assure that what they are getting financially can supply those needs. 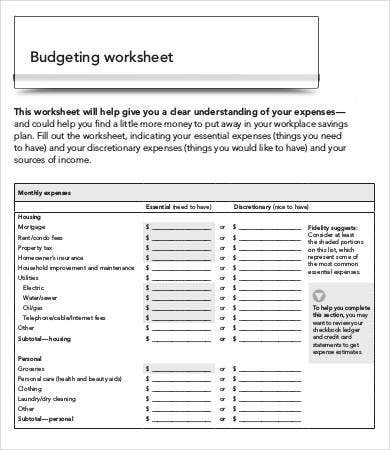 A family budget worksheet will be of great help to plan ahead in terms of family finances. 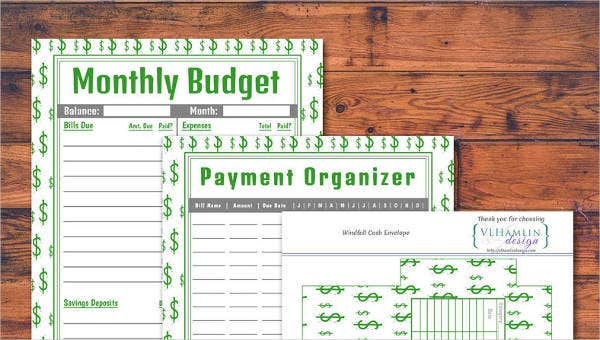 Our website offers free-to-download and printable budget worksheet template that you may use. 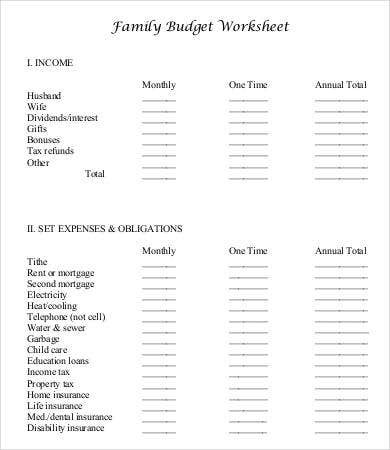 A family budget may be done monthly or annually. 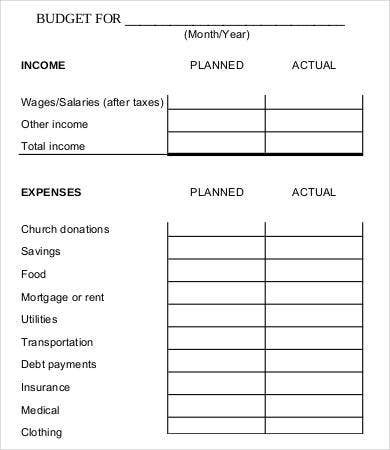 We suggest that if you are just about to start this method, doing the monthly budget worksheet is best for you. 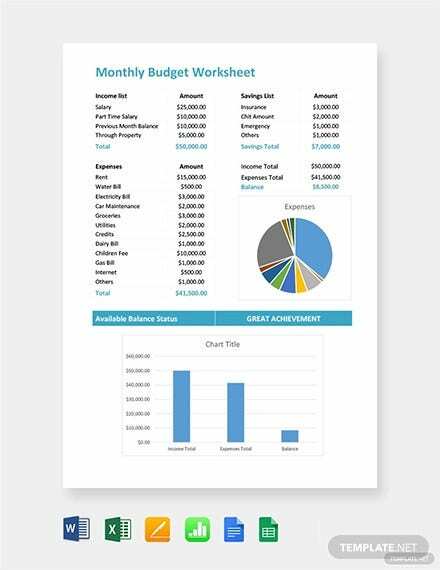 You may take a look at the monthly budget worksheet templates we have in store for you. 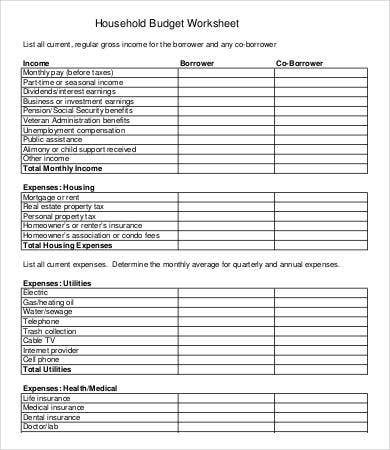 Having a family budget worksheet will help you set the amount of money that is actually your spending limit. This will vary depending on how much the parents and other working members of the family are earning. 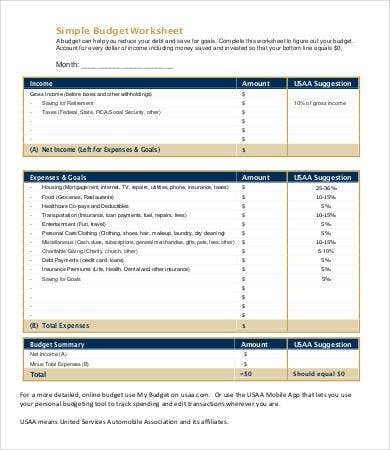 If you have already mastered the act of family budgeting, you may want to try using our vacation budget templates and reward yourself even with just a simple vacation. In making a family budget worksheet work, you need to assure that you have written all the information properly and that they are exactly what you and your family need for a period of time. You should also be ready for adjustments as needs and their prices may vary from time to time. 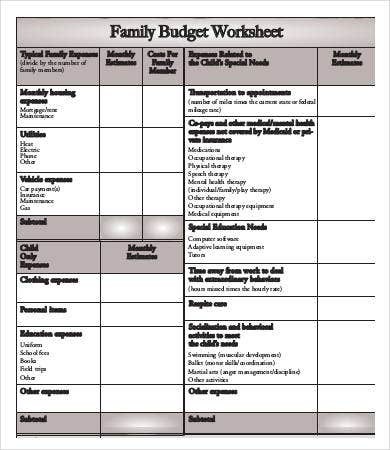 Having a family budget worksheet helps family members to look more precisely on their budget and how they are going to use it. Also, it helps them to set priorities and know whether their money is still enough for the coming days or weeks. Also, when planning in the creation of a family budget, everything must be brought to the table. All the sources of income and all factors that need spending and create expenses must be laid properly as it will in the process of decision making on what is needed to be prioritized first. Having a budget plan for the family helps them pay debts, even little by little, and put the remaining money that they have to their savings accounts. It is truly important to know the factors affecting the spending habits of a family and ensure that the means of income can sustain the lifestyle each of the family members are living with. 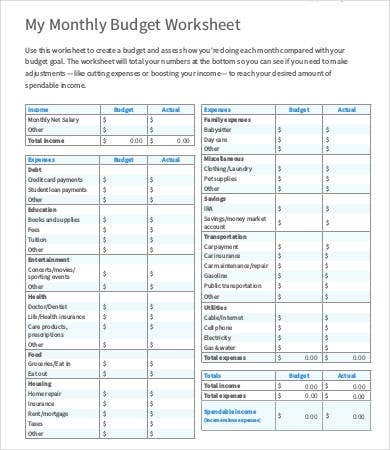 Aside from samples of a family budget worksheet, we also have in our stock travel budget templates.